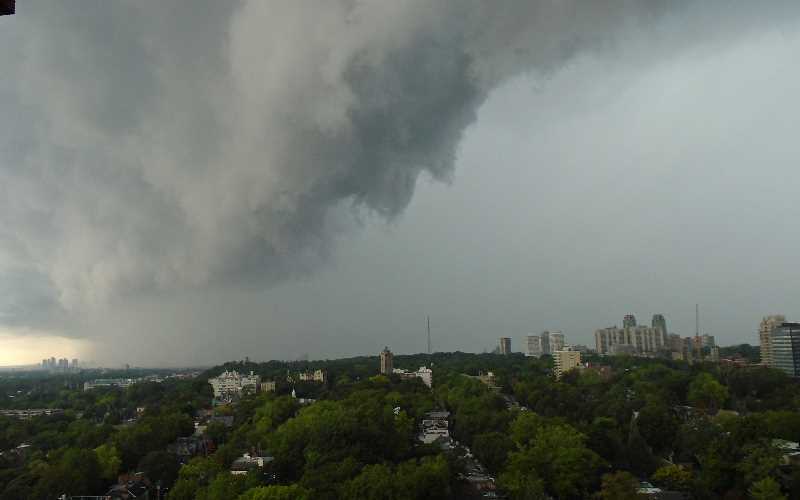 Don’t often see wannabe funnel clouds over Toronto, but it looked like this cloud bank was trying it’s best. The wind was whirling around and around, picking up speed for a short time, which caused this. It’s west facing, must have been over Etobicoke and Mississauga. Right now, windows open, enjoying the fresh air. I won’t have to water anything on the balcony tonight. The pots are over flowing with water, the wind has died down and the rain is coming down in bucket. Keep your fingers crossed the humidity doesn’t return.